Dave Mason was all of 19 years old, by his telling, when he put pen to paper and wrote “Feelin’ Alright,” which wound up on the self-titled 1968 debut from Traffic, the band he co-founded with Steve Winwood and Jim Capaldi. The song from the British rock group has become a staple moment in Mason’s live set, but it found even more ears when Joe Cocker got a hold of it and put his own version out for his 1969 album With A Little Help From My Friends. In the lyrics to the song, Mason wrote, “Got to stop believin’ in your lies/ Cause there’s too much to do before I die.” Little did he realize that he had a lot of days, months and years ahead of him as he wrote those words down. So it’s easy to understand why he’s been looking forward to his current Rock & Soul Revue tour with guitarist Steve Cropper. The two perform at 7:30 p.m. on Sunday, Aug. 19, at the Kent Stage. With Cropper, he’s got the right ammunition to do just that. They’re both Rock and Roll Hall of Fame inductees — Mason, in 2004 with the members of Traffic, and Cropper, a 1992 inductee for his work with the legendary soulful rhythm and blues band, Booker T. & the M.G.’s. The amount of history that Cropper and Mason can bring to the stage together for one night is staggering. And as a fellow guitar player, one could understand if Mason found the prospect daunting. But he has a good view on the situation. 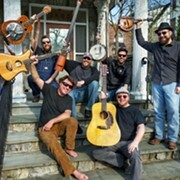 In true revue fashion, Mason and Cropper are distributing the load a bit, with the help of Mason’s band, who form the instrumental core on this current tour. Cropper is similarly excited about the current tour, which he spoke about during a separate phone call. He sees a lot of common ground between himself and Mason, when looking at the work that they’ve done individually across the years. Whatever might be buried in the liner notes, there are also a lot of incredible stories that go with the songs. 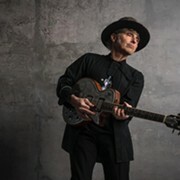 When Mason and Cropper dig into their version of Bob Dylan’s “All Along the Watchtower,” it might come as a momentary surprise — until you realize that Mason himself, played the acoustic guitar on the recorded version by Jimi Hendrix. Mason was also in the right place to be able to sit in with the Rolling Stones on a couple of cuts on their Beggar’s Banquet album, and he’s cool with it, even though his work went uncredited at the time. For Cropper, a 1993 journey working with Booker T. & the M.G. 's as the backing band for Neil Young for a tour was quite an experience. “That was about as good as it gets, right there. 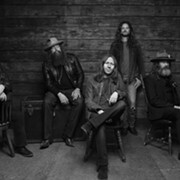 If it were known, I don’t think of anything official, there’s no awards or anything, but we were voted the number one tour of the year that year,” Cropper remembers. “It was a great tour, and Neil loved it and thought it was fantastic, and heavy duty people like Sting would come backstage. Sting, we were over in Cordova, Spain, I think, and he said, 'Why didn’t I think of this, having Booker T & the M.G.’s back me?' [Laughs] He did pretty good on his own, but we had comments like that." Cropper says that Young also “got a lot of bad mail on the tour” with detractors saying that Booker T. & the M.G.’s were “too slick for him,” a point of discussion that he disagrees with. And as he also recalls, the process of getting ready for the tour sent Neil digging into his past, literally. No matter how many negative letters Neil Young might have gotten for deciding to take Booker T. & the M.G.’s out, Mason says we owe the legendary band a huge debt of gratitude. 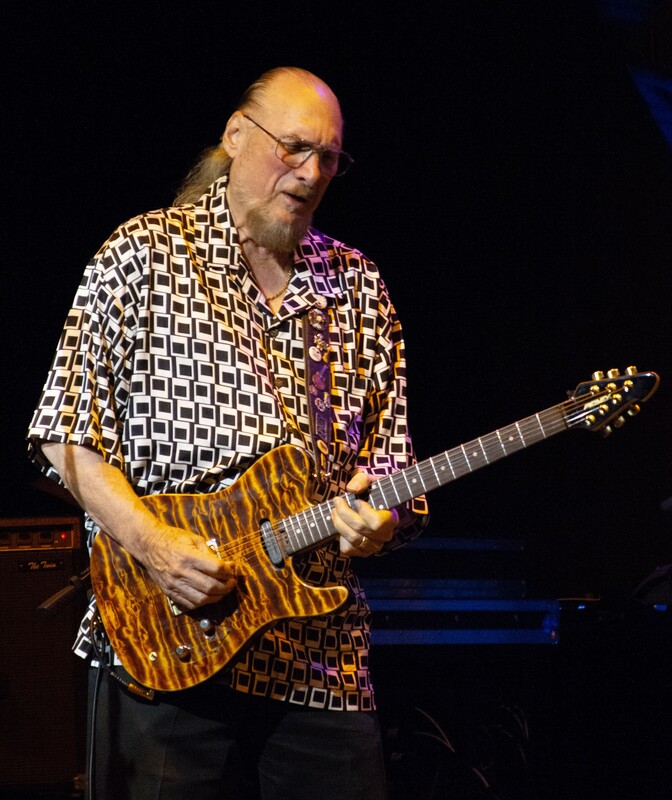 It’s his mission with this current tour to make sure that more people acquire an awareness of Steve Cropper and the amazing work that he’s been a part of. Cropper remains humble about the success that he’s had with his work. Unless you’re partying with John Belushi — in which case, you needed to pack a change of clothes for that party, as Cropper humorously recalls now, when thinking about his departed Blues Brothers bandmate. Dave Mason and Steve Cropper, 7:30 p.m. Sunday, Aug. 19, Kent Stage, 175 E. Main St., Kent, 330-677-5005. Tickets: $55-$125, thekentstage.com.